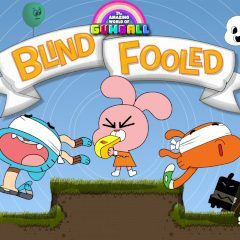 Gumball and Darwin have meda up some pretty stupid games before! But this time they have outdone themselves! Help their friend Anais to keep them safe! Use arrow keys to move!